Political, economic, and military perspectives dominate U.S. History textbooks, pedagogy, and assessment. Nods to social, cultural, environmental, and trans-national history are emerging or tangential to the common high framing of history. The common element in all of these is the pre-eminence of the nation-state as the dominant actor in history. 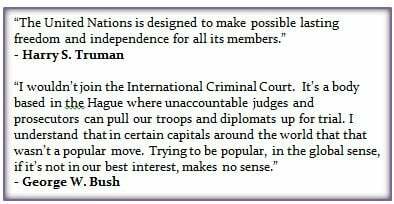 Yet the United States, as other nations, are members of a multitude of international organizations that are based on economic, political, military, and cultural visions. Involvement in these groups produces networks that must be navigated and yields power that can be executed. Additionally, multi-national companies have come to rival nation-states in the ability to impact history. Recognizing the significance of multi-national companies and international organizations in history extends studnets’ understanding of world systems in an age of globalization. In order to do this effectively, the United States must be understood as a player within these networks and not as a singular driver of change over time. 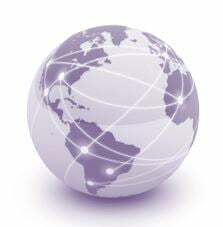 How do nations utilize power through international organizations? What are the limits and advantages international organizations have over political, social, military, and economic policies and practices? To what extent are international organizations agents of historical change? How do multi-national companies shape policies, programs, issues, and practices in the world? Why has the UN Failed to Prevent Genocide? “The New Global History”, Bruce Mazlish (2000). “A Brief History of Transnational Corporations, Global Policy Forum (2000). 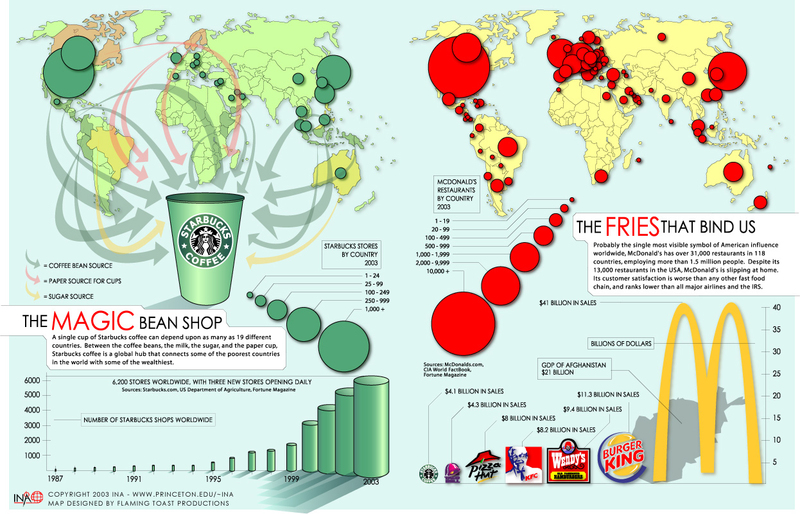 This map shows the global presence of Starbucks coffee shops and McDonald’s restaurants in 2003. When examined graphically, both companies act as global hubs that connect some of the world’s poorest, most remote countries with some of the wealthiest. It was developed by Jonathan Harris. (2003). The Dell Theory of Conflict Prevention, summary of Thomas Friedman’s theory (2005). Vincent Ferraro, Dependency Theory: An Introduction – The Development Economics Reader, ed. Giorgio Secondi (2008). Podcast – The International Energy Crisis of the 1970s – Host Joan Neuberger, Editor, Not Even Past and Professor, Department of History (2014). Edward Luce, The End of the Golden Arches Doctrine, The Financial Times (2015). Pinker and Santos NYT Opinion: Colombia’s Milestone in World Peace (2016). American Declaration of the Rights and Duties of Man, adopted by by the Ninth International Conference of American States, Bogotá, Colombia (1948). The Power of Corporations, Speech (excerpts) at the United Nations, Salvador Allende (1972). Video Clip of Allende speech with subtitles: 3 minutes. The Future of the NATO Alliance Speech, by Secretary General, Manfred Wörner at Istanbul University (1989). President Clinton’s News Conference With President Ernesto Zedillo of Mexico (1995). Interview Collection, Protests against the World Trade Organization. Seattle, Washington (1999). The United Nations Condemn the Terrorist Attacks on the United States (2001). 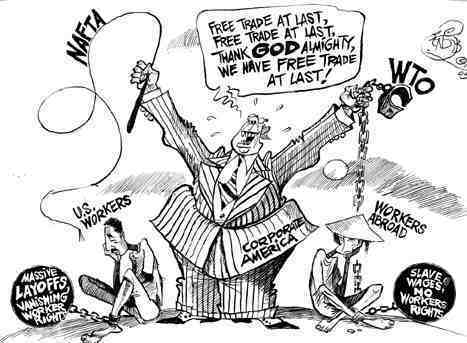 Political Cartoon on Free Trade (NAFTA and WTO) c. 2008. Collection of NATO Political Cartoons between 1997-2015.